Business description - One Point One Solutions is a provider of Business Process Management Services. The Company provides services in various industries namely, Telecommunication, BFSI, Travel, Manufacturing, E-commerce etc. Its tailor made solutions offer customized engagement models to facilitate the ease of doing their business. Engaged in providing Business Process Management Services Company, offering services for Enrichment & Process Management Service, Skill Development, Training Program. The company is mainly engaged in outsourcing services which includes Inbound and Outbound Call, Back Office/Transaction Processing, Data Management services and Business Analytics. Its tailor made solutions offer customized engagement models to facilitate the ease of doing their business. The Company has entered into agreements with various companies across various industries such as Bharti Airtel Limited, Videocon d2h Limited, Baroda Pioneer Asset Management Company Limited, Dish Infra Services Pvt Ltd, LIC Mutual Fund Asset Management Limited, Shop CJ Network India Private Limited, Wonderchef Home Appliances Private Limited. Its service ranges from Data management and Business Analytics, Integrated Telephony Management, Customer Relationship Management, Sales Management, Document Management, Payment Gateway Management, Order Booking Management and IVR Solutions Management. 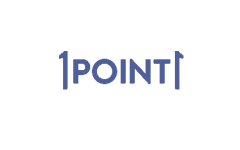 One Point One Solutions IPO allotment status is now available on Link Intime's website. Click on this link to get allotment status. I HAD APPLIED FOR THIS IPO AND NOT RECD WHY? was told that its very difficult to get IPO allocation because of small size. heard that ANI is now available at 167 rs, and its short term target is 500 rs plus in 2/3 months. whats your view, and how to apply and purchase ANi shares. read that PE is only 10, and RONW is 56 pct, and has reputed list of clients to assure long term sales growth and profitability. Yes bank and HSBC fund have invested in this iPO. it will be a multibagger for sure. Biggest question is allotment!! Happy more than getting married ?? This is very bad ipo don’t apply …Fully avoidr ..
Wow no one mentioned it, Jaspal Bindra is an investor in the company. He has turned around centrum and without a doubt this ipo will be a big hit. p/e is around 23. Dawda sir also suggested that it”s a costly offer at 67.
p/e is not under 10 even they offer at 33. I think p/e is mentioned here and it is showing as around 10.. i also checked on nse website it showing same.. from where did you bring this data.. saying p/e 23?? Whatever Dilip Davada sir says sometimes it is not working, He is very very good in analysis, valuable information he is providing, Qualified person. He said Ganesh Remidies to apply (Subscribe) but not given losses to initial listing now trading Rs 5 above to issue price but in the case of SBrands he completely suggested us to AVOID, but scrip has given 80 % returns within 60 days. like ani and ice making..this companies fundamentals are vary good and apply for listing gain…..